Future Shock is about the present. Future Shock is about what is happening today to people and groups who are overwhelmed by change. Change affects our products, communities, organizations - even our patterns of friendship and love. Future Shock vividly describes the emerging global civilization: tomorrow's family life, the rise of new businesses, subcultures, lifestyles, and human relationships - all of them temporary. Future Shock illuminates the world of tomorrow by exploding countless cliches about today. 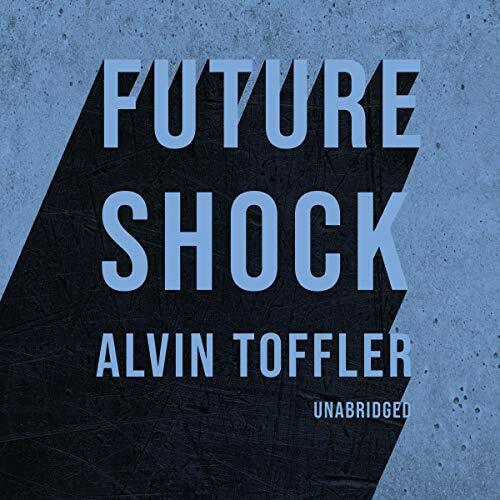 Future Shock will intrigue, provoke, frighten, encourage, and, above all, change everyone who listens to it. ©1984 Alvin Toffler (P)2019 Blackstone Audio, Inc.
Future Shock perfectly describes our times, if you don't mind some outdated statistics or outmoded social terms. It will become the lense through which you view the world and people, and yourself.